The DUAL CV 1160 was a new model in the 1983 lineup. Small and flat with a 30 W/channel power output that was available in this brown finish or silver finish (called satin-metallic) - both made of plastic. 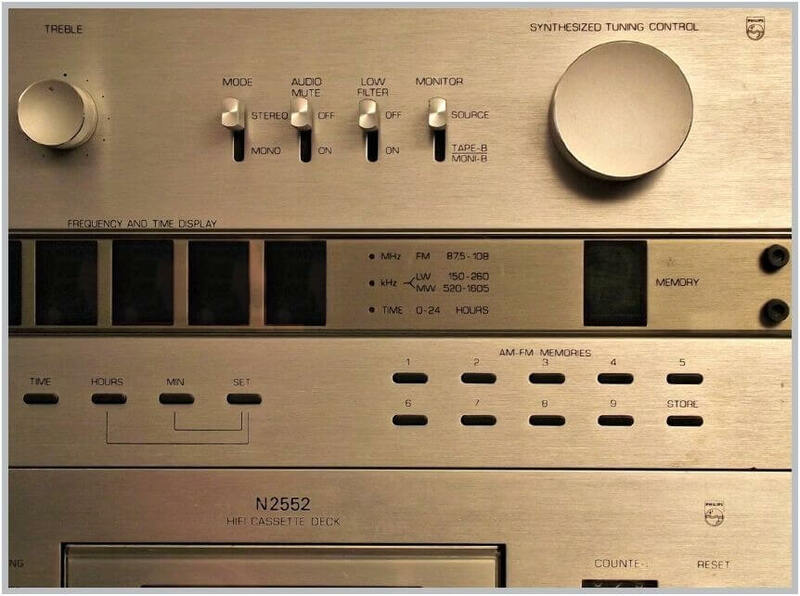 ​Inputs are for turntable (PHONO), tuner and two tape recorders that can be selected via a rotary selector with LED status display. At the back there is a 14 V AC output to power the matching CT 1160 tuner, so this one can be used only if you have the amplifier too, or skills to power it up with an external source. 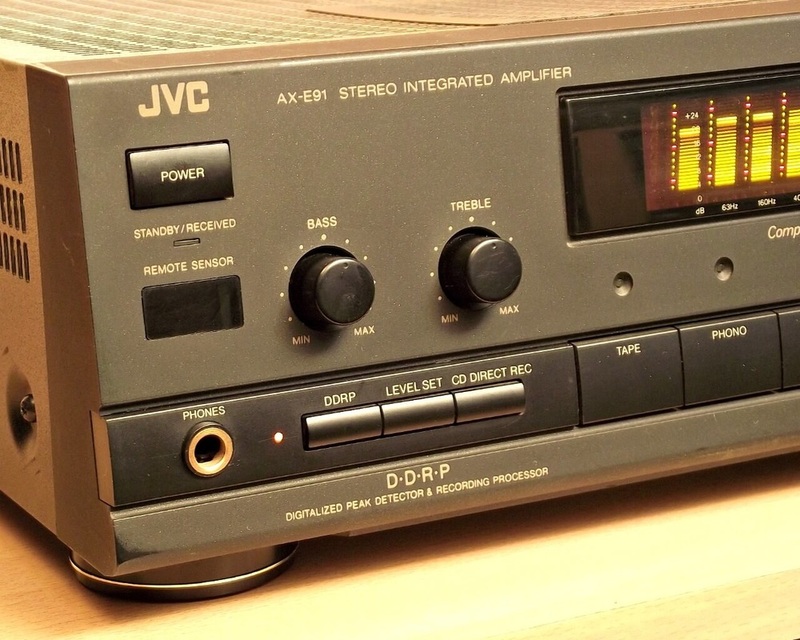 ​The TAPE 2 input uses RCA plugs and you can use this input for a 3 head cassette deck like the DUAL C 824 from the same series. For monitoring the recorded material you should depress the MONITOR switch on the amplifiers front panel. 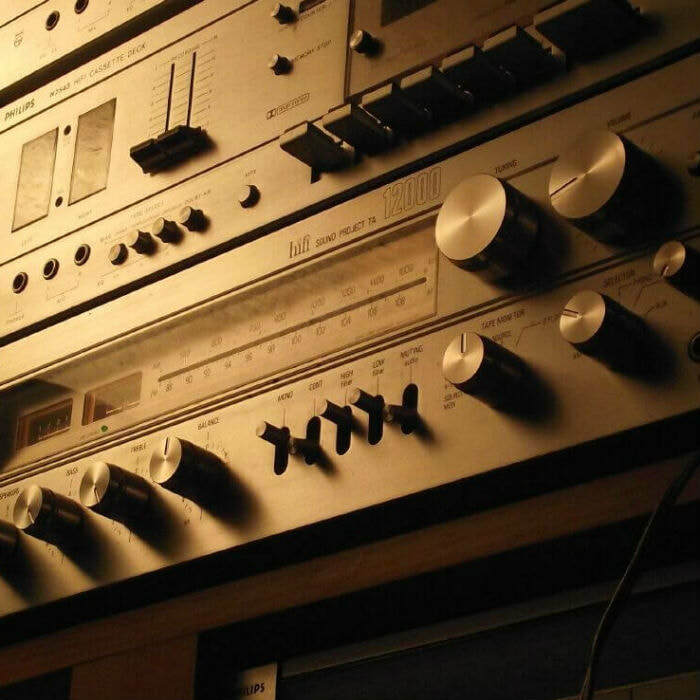 Usually for a midi system you need all the components of the system in order to be functional. 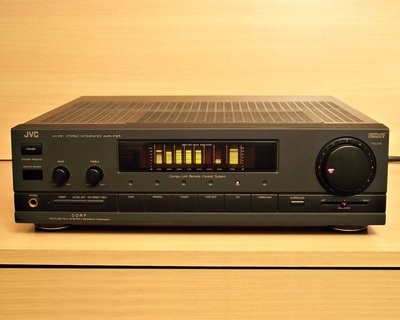 On the other hand this JVC amplifier from the 1989 Top of the line JVC Stylistic Midi System W91 can be used as a standalone unit. 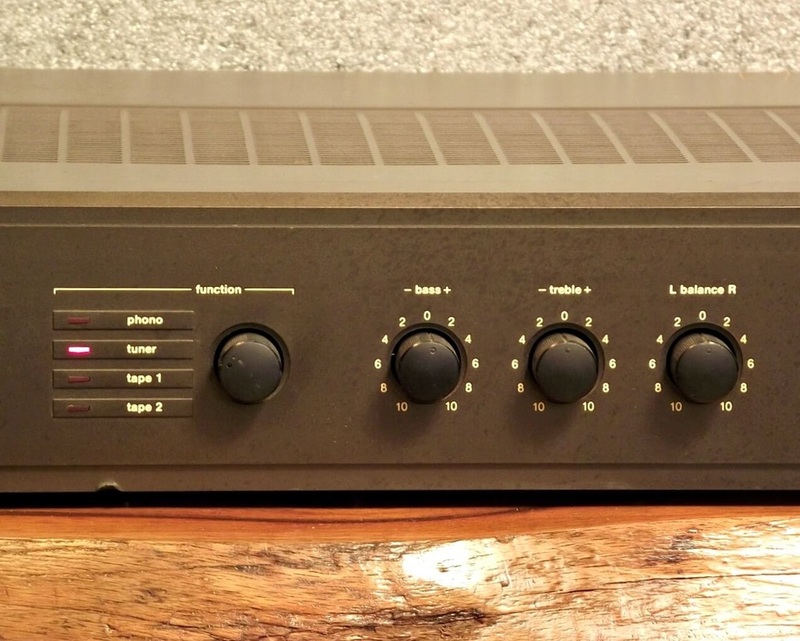 It's a stereo amplifier with a power rating of 75 W/ch min. 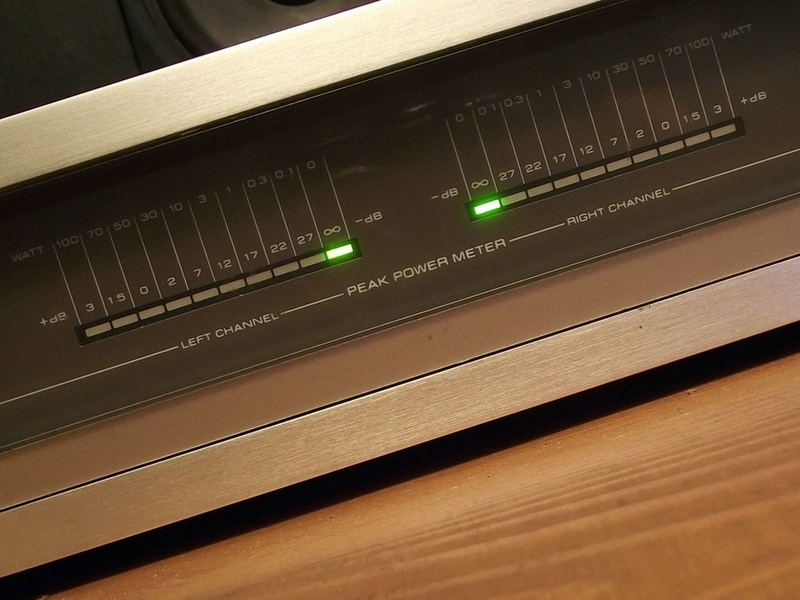 RMS both channel driven into 8 ohms from 40 Hz to 20 kHz with no more than 0.9% THD. As you can see at the front there is a large display. 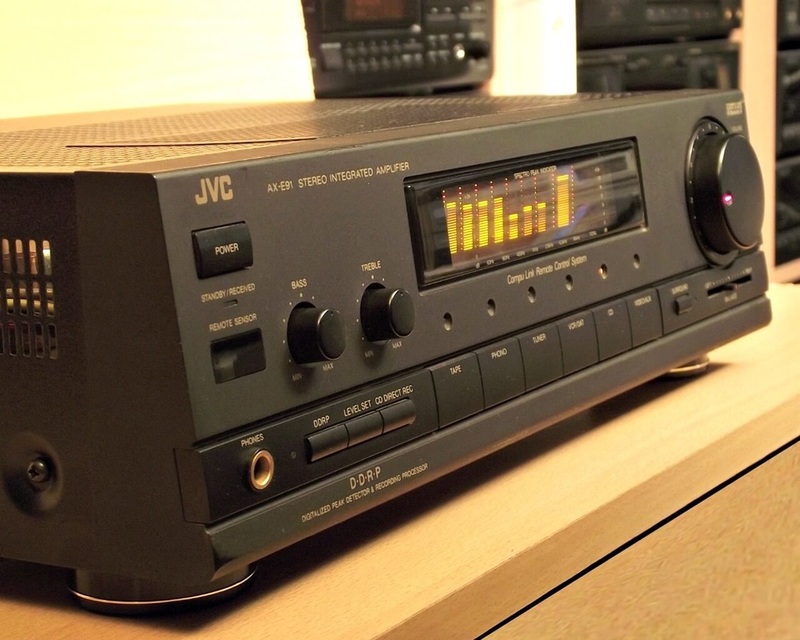 This is a JVC speciality, it's a "Spectro Peak Indicator" that pulsates at the rhythm of your music and the bass and treble has no effect on it, just shows the input signal. 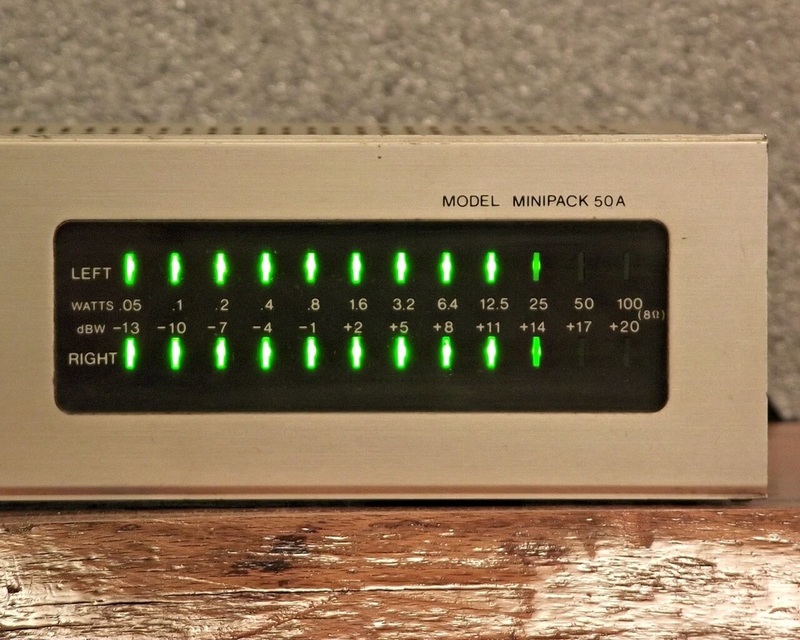 If you connect an external equalizer, the corrections made will show up on the display too. 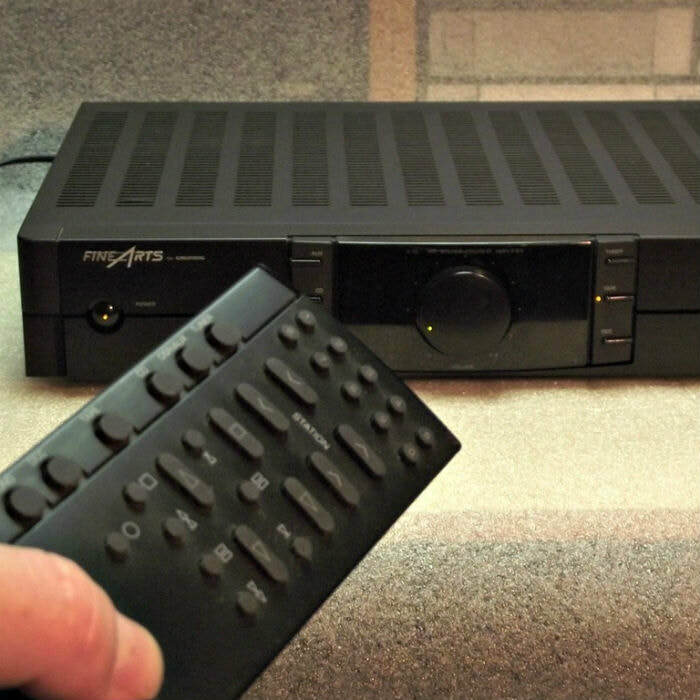 The "Compu Link Remote" is a JVC development for the remote control of an entire stereo system which is made up of COMPU LINK components. 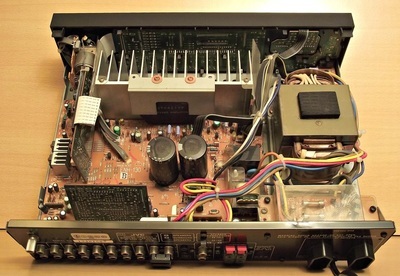 The amplifier receives signal from the remote and the signals are transmitted to other components via the "Compu Link" cables attached at the back. 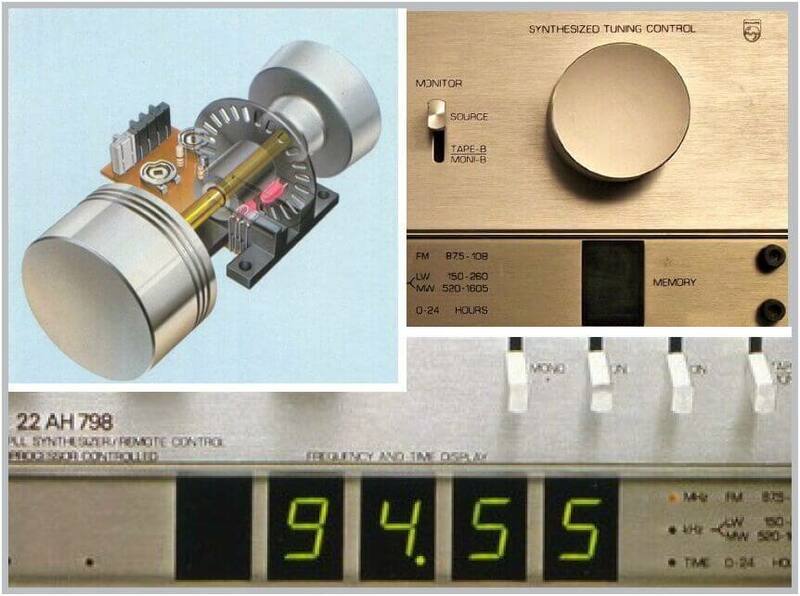 The volume is remote controllable (see picture # 4) via a motorized volume knob. 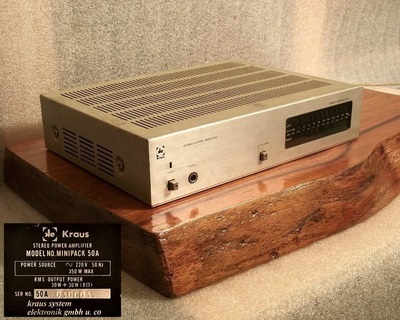 There are two extra functions on this amplifier - the surround function that only act as additional effect to a stereo sound and it uses two loudspeakers (40 W) connected via RCA jacks but the sound is only mono. 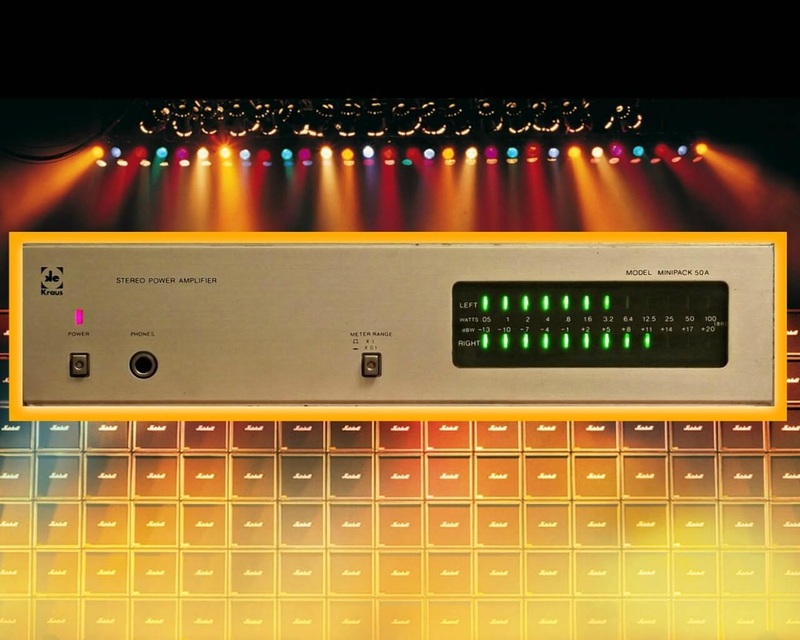 (They never told you that) The second is the DDRP (Digitalized Peak Detector & Recording Processor) that detects the peak level of each source and automatically sets the optimum recording level and memorizes it. The CD Direct enables easy recording of a CD on a cassette deck. 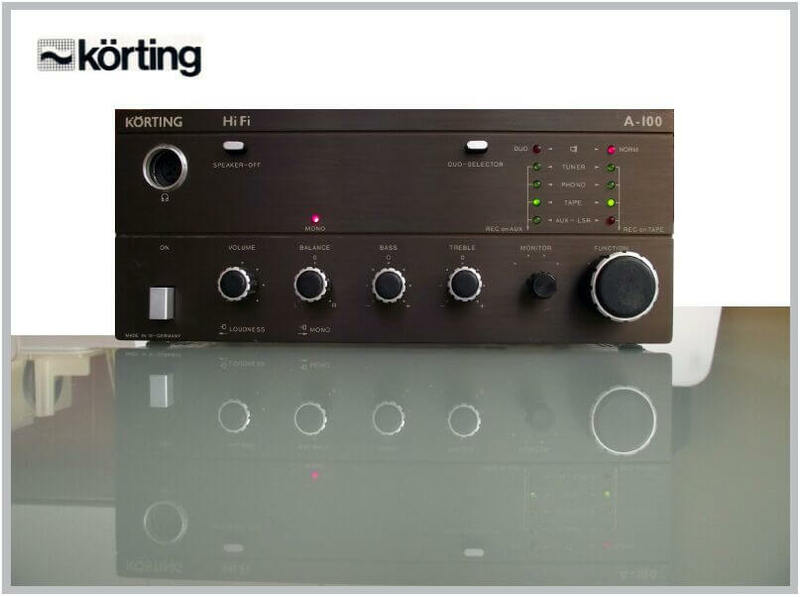 Small, mini sized amplifier from a german company named KÖRTING. 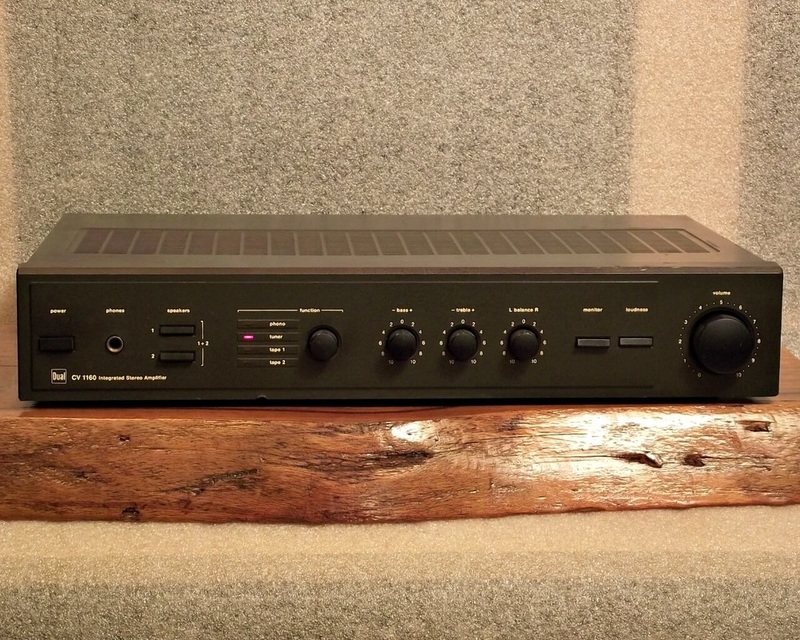 The power rating of this small amplifier is 2 x 50 Watt. 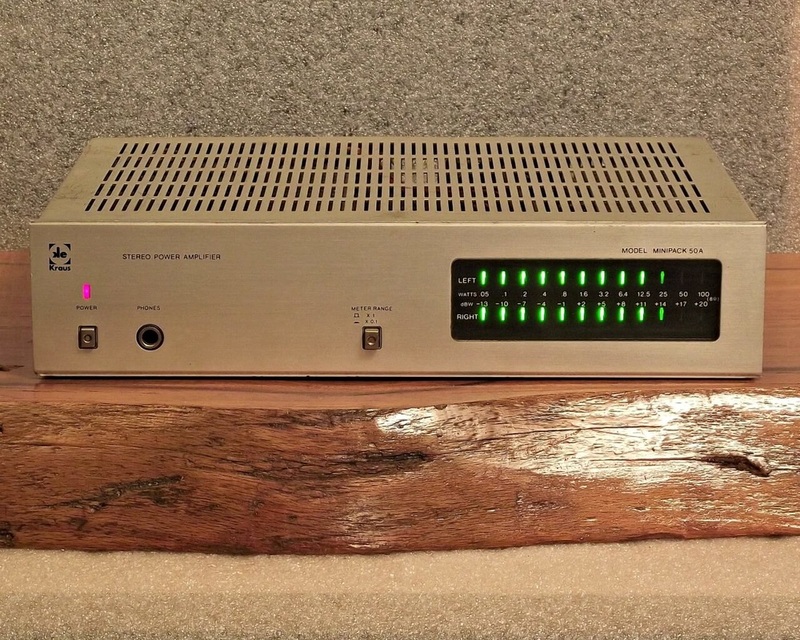 When used in "SERIE 100" system there was an extra power amplifier available for the setup. 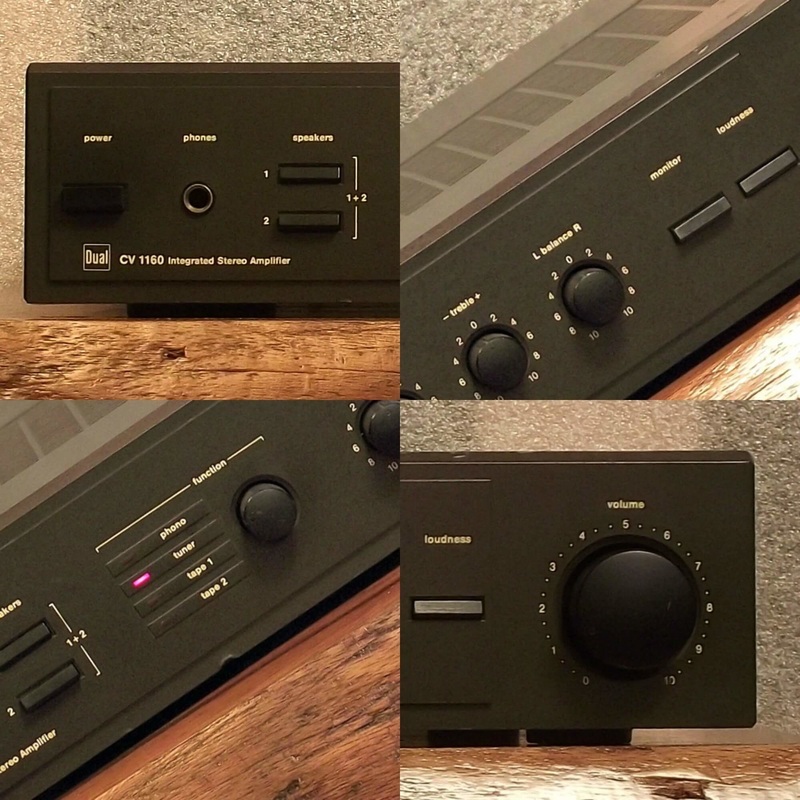 All the inputs and speaker outputs use DIN plugs. The LOUDNESS switch is incorporated in the volume knob. 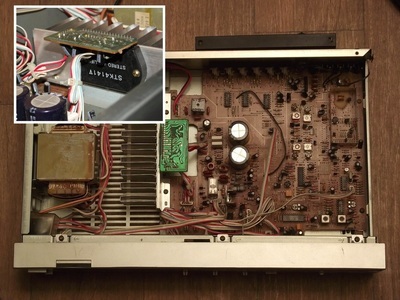 Just pull out, to switch off or push in, to switch on the circuit. 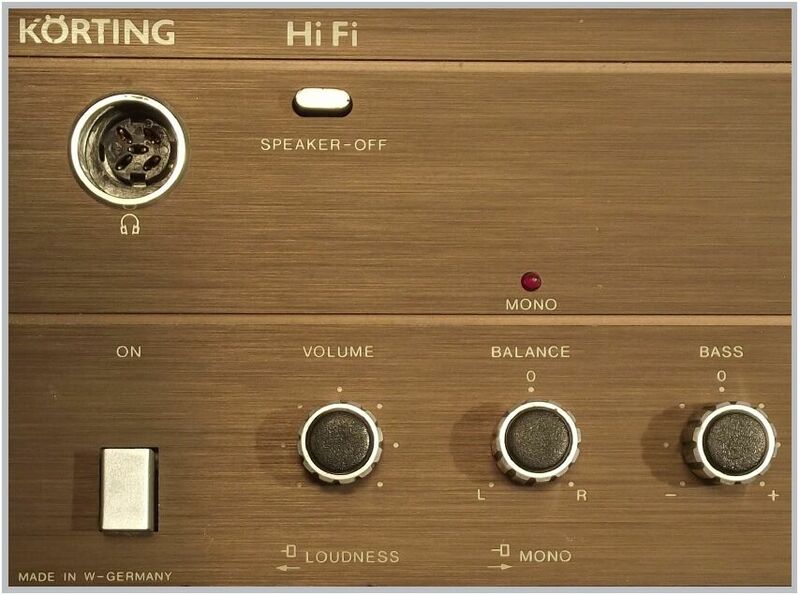 The MONO switch works similarly. For mono operation pull out the balance knob or push in for stereo mode. In mono operation there is a warning red light above the balance. 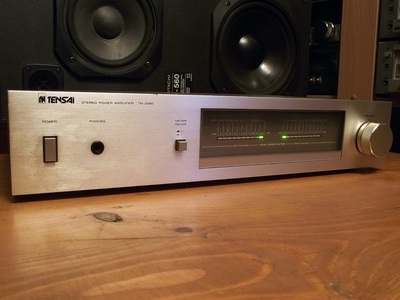 Onother interesting feature of this amplifier is the fact that you can make a recording to your tape using as microphones the speakers connected to the amplifier. 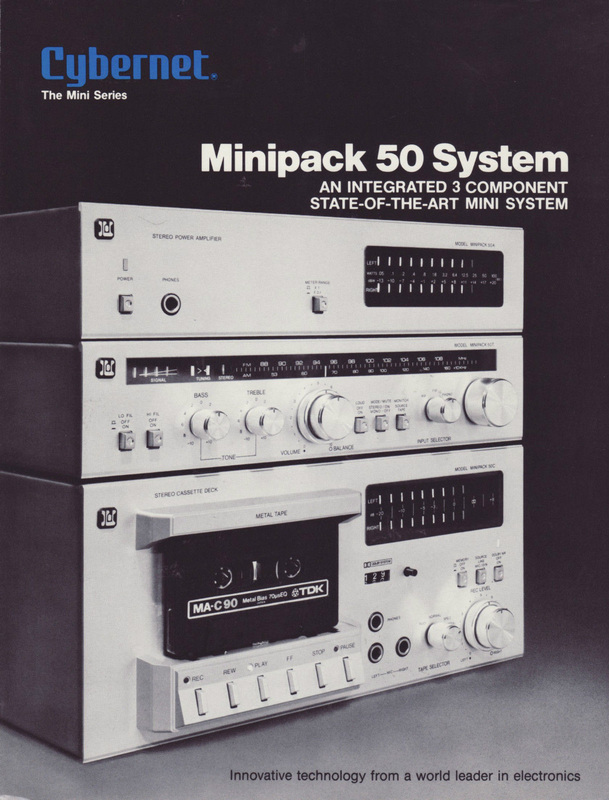 This mini component power amplifier was available on the german market as KRAUS MINIPACK 50A. It is a 30 W / channel (RMS 8 ohm) power amplifier by "Kraus System Elektronic gmbh u. co" who was in fact only the importer of this product. 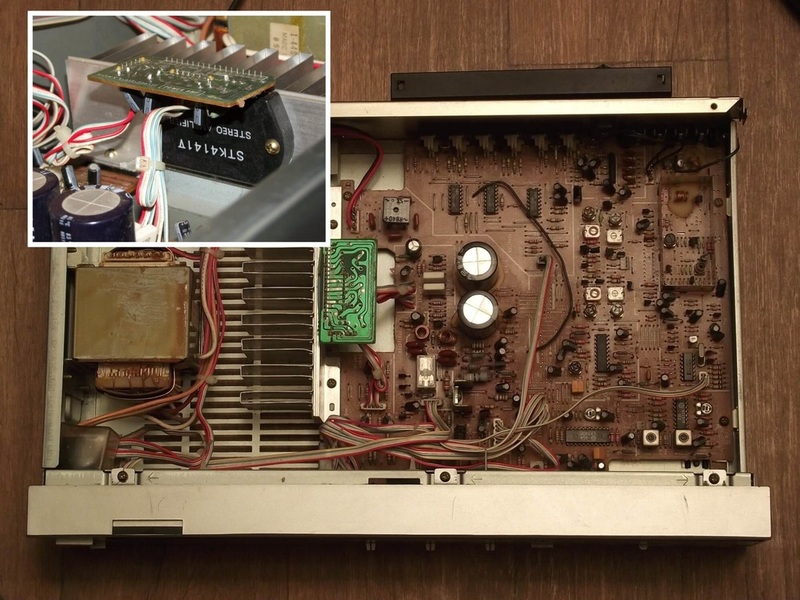 The real manufacturer was the japanese Cybernet company. This State-of-The-Art mini system was called MINIPACK 50 and was also available with Cybernet, Lenco and Realistic logo. 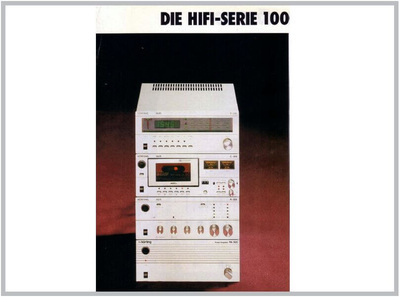 ​Here at 1001 Hi-Fi, the stereo museum we have the matching cassette deck that is branded Lenco ITALIA. 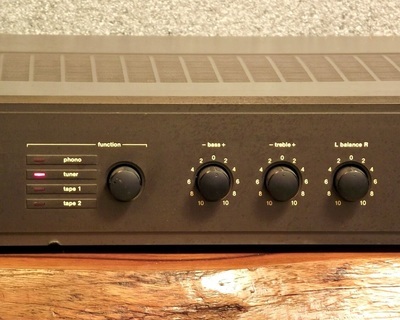 Just connect this power amplifier to any pre-amplifier and you're a rock star, right on the stage. This is the PHILIPS 22 AH 798 Digital Hi-Fi Receiver, part of the "482 System" as it was presented in the 1981 catalog. The 482 is in fact the width of the units in milimeters, with glued plastic decorative side "ears" that are missing from my units. 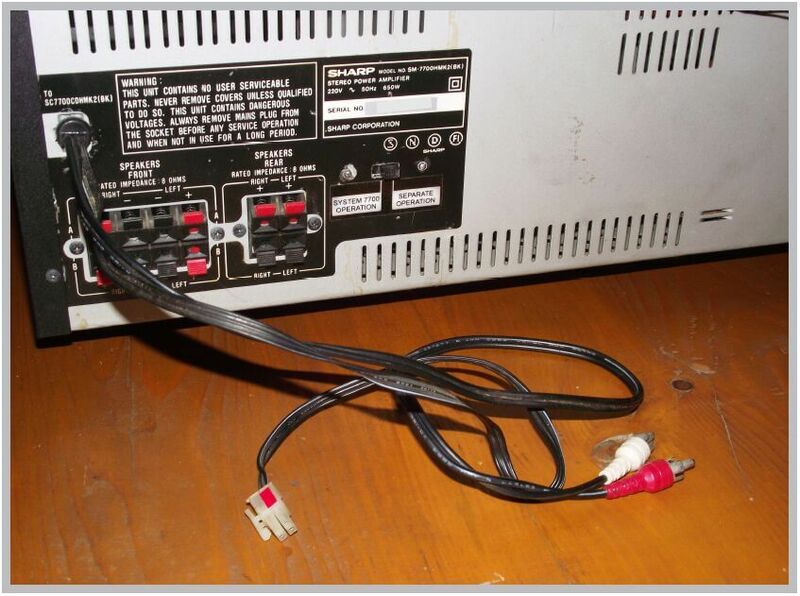 It is rated 2x40 W sinus power (identical with the 22 AH 799) and it can be remote controled. It can be used with two pairs of speaker and there is also an output for PHILIPS MFB active loudspeakers. Read more about the partnering N2552 cassette deck. 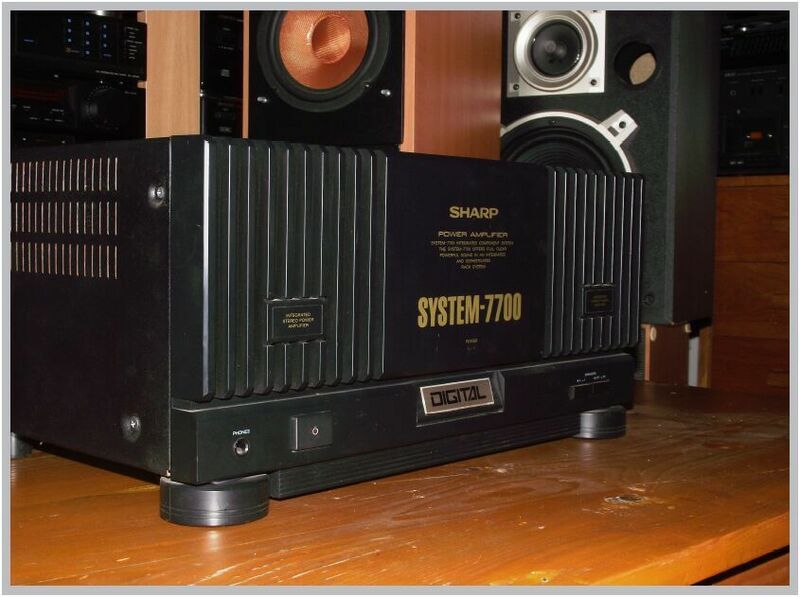 Big and powerful SHARP power amplifier. 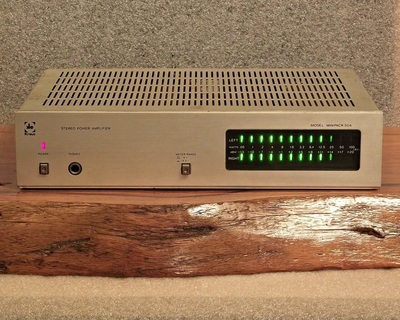 (130 W/channel @ 8 ohm) It was part of a complete system (SC7700CDHMK2) with remote control. 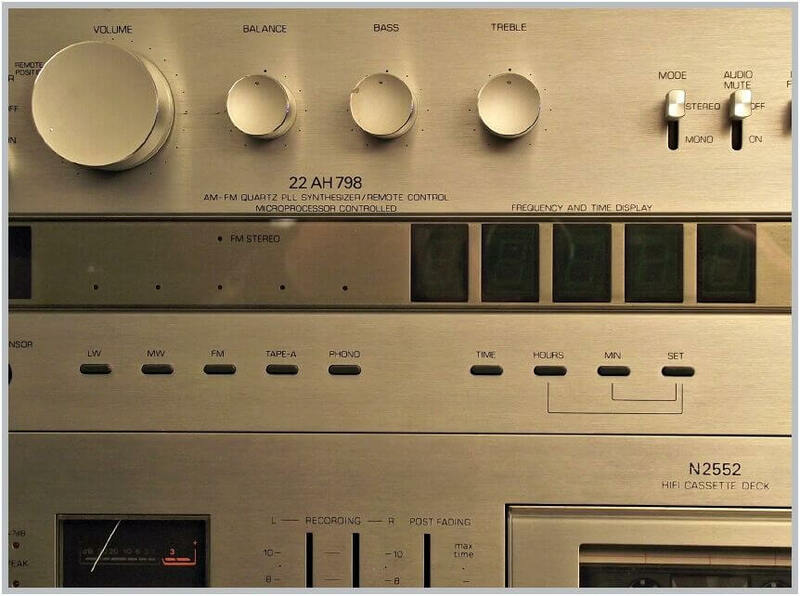 As you can see on the front plate, this amplifier was DIGITAL...................because the system had a digital player (CD), digital tuner and remote control. 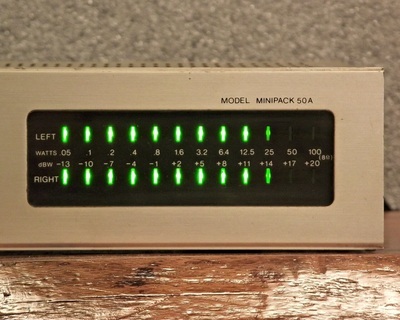 There were different versions of this model. 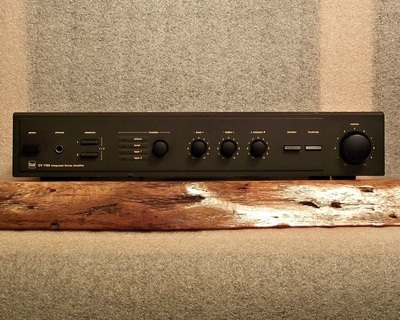 This one has surround speaker outputs too. 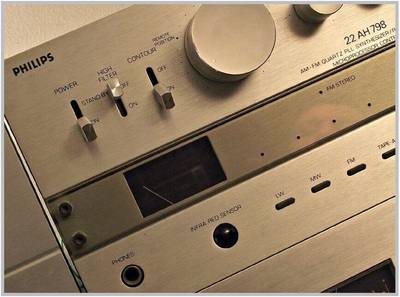 In the pictures you can see a power switch that is not an original one. 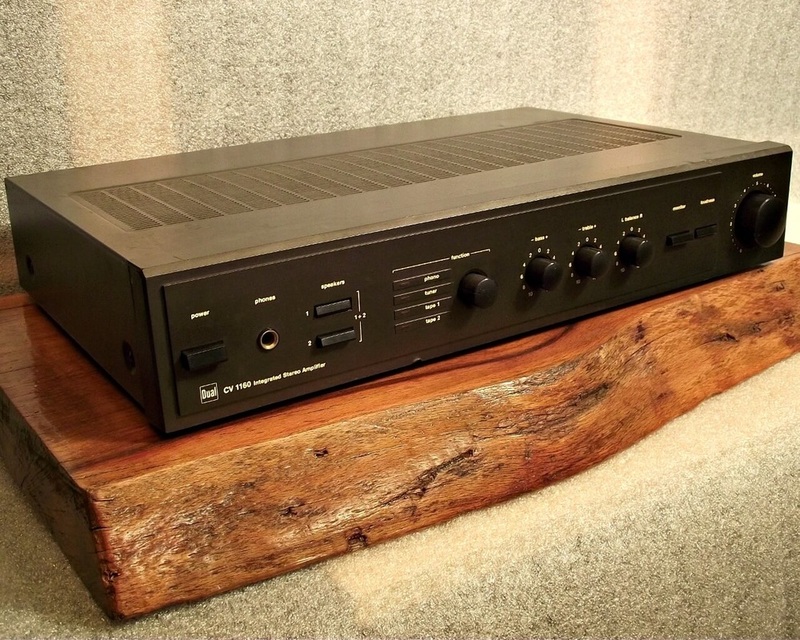 Linked to this added power switch there is an additional switch at the back that allows the amplifier to be used with any preamplifier or with the original SHARP system. 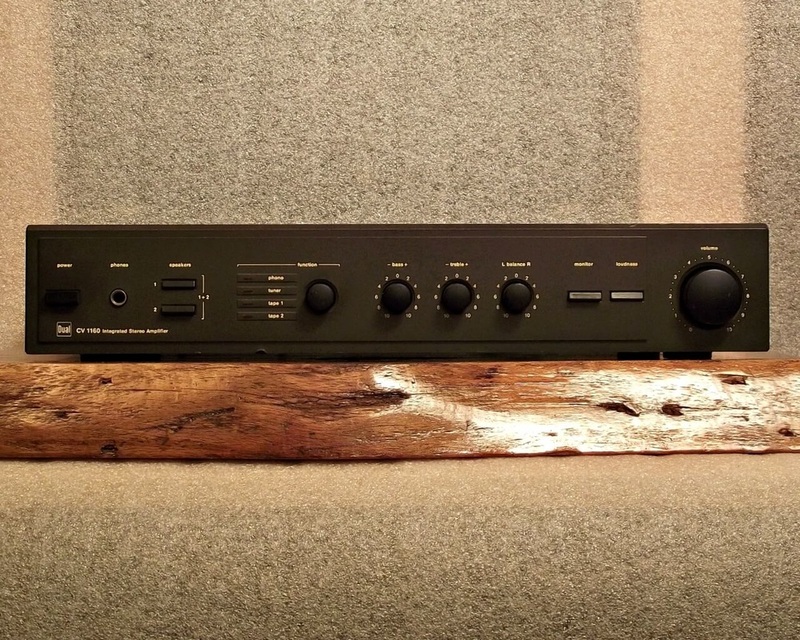 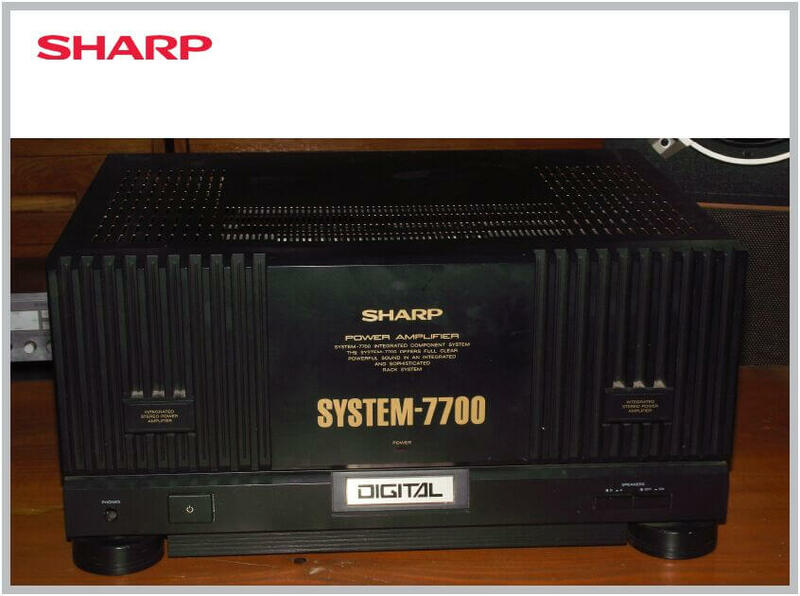 Ten years later SHARP made a few real 1-Bit DIGITAL amplifiers considered by some the best amplifiers ever. 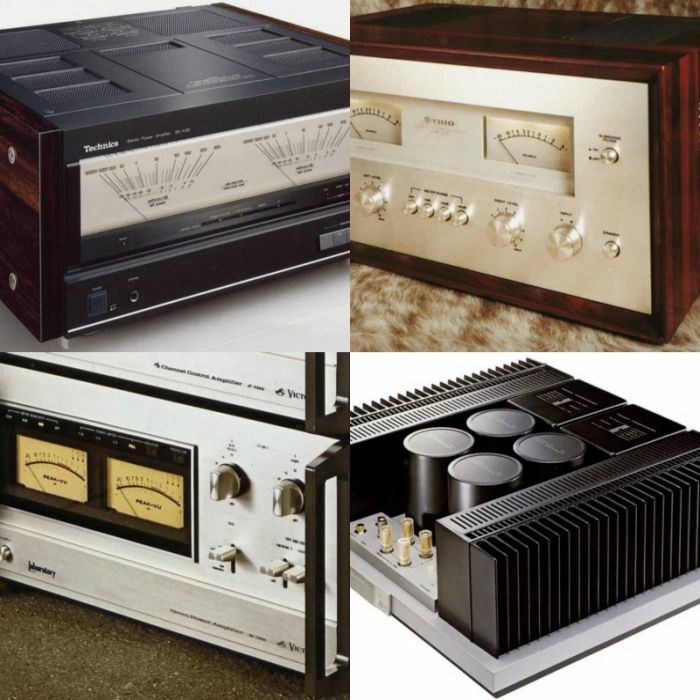 Tuner and amplifier in one box. 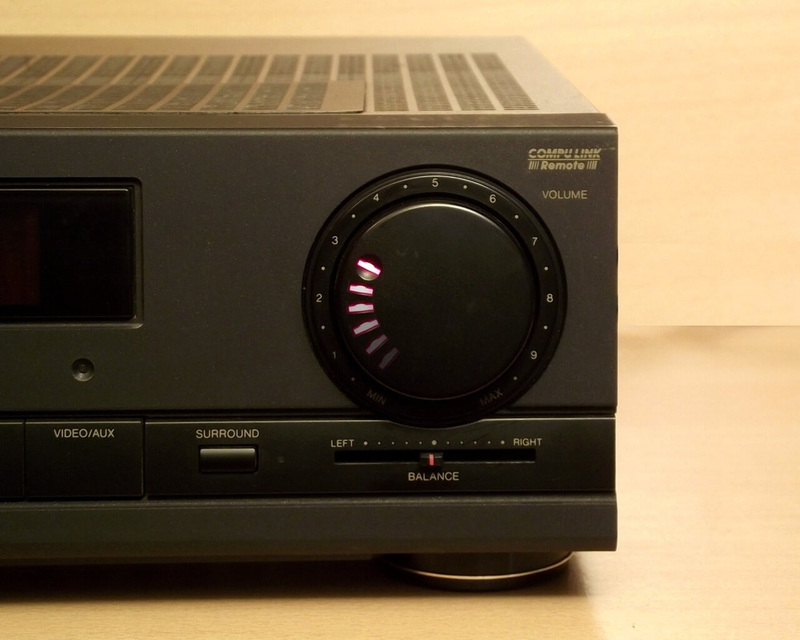 This is the SONY STR-AV 260L receiver built in the typical 43 cm wide format. 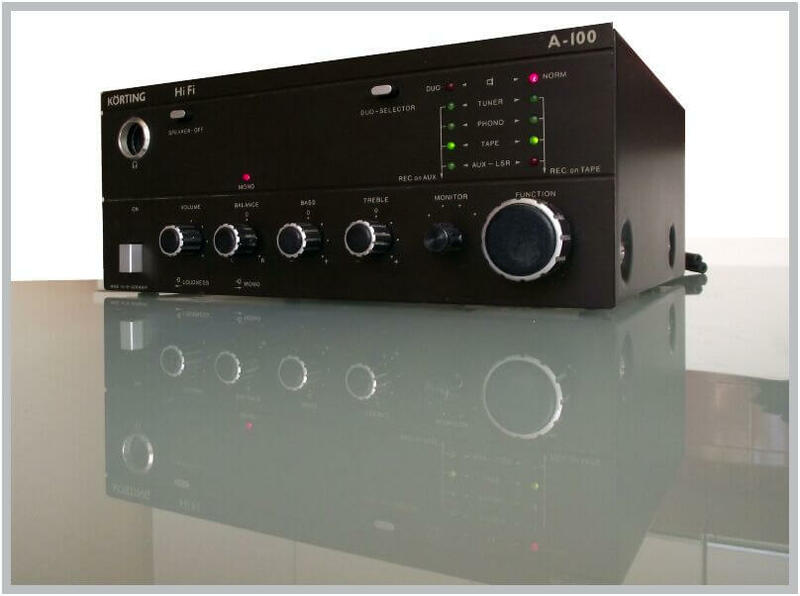 The amplifier is a 28 Watt / channel stereo amplifier with a total harmonic distortion of 0.08%. ​You can connect up to four external units to this amplifier, a vinyl player (PHONO), a CD player, a VIDEO and a TAPE recorder. 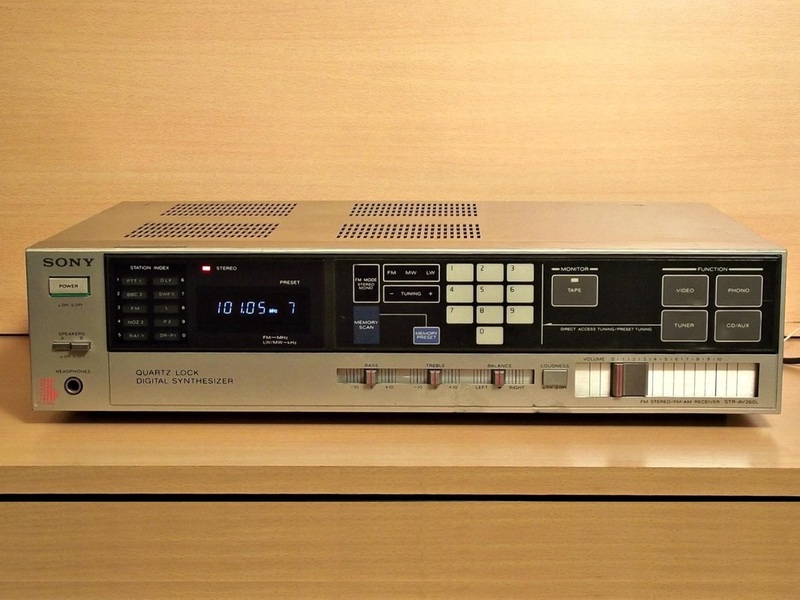 (There are both input and output connectors for VIDEO and TAPE) The selected source name will be displayed on the alphanumeric display of the unit. 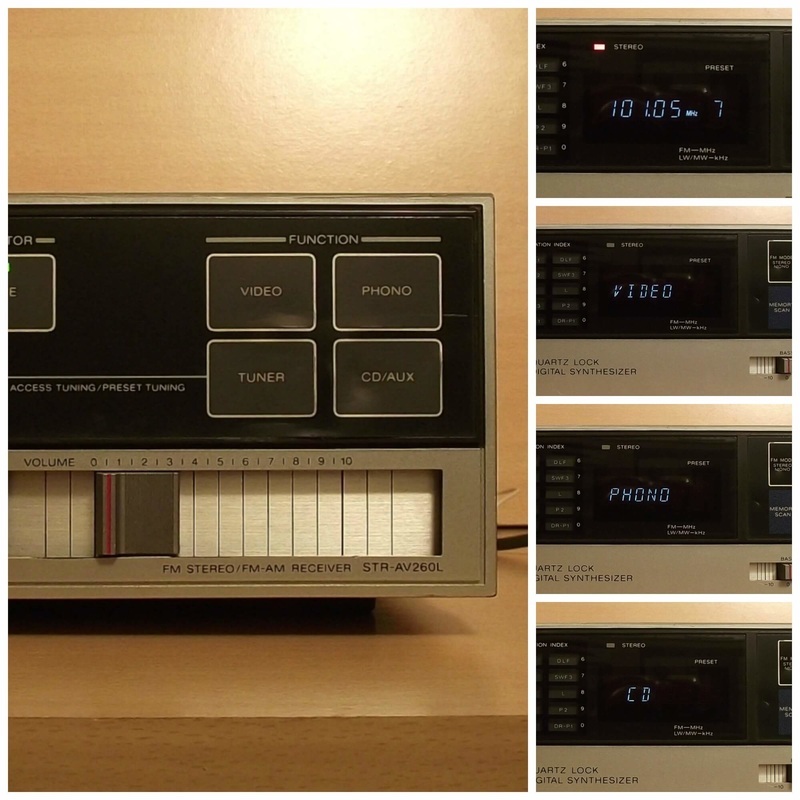 The tuner is a Quarz Lock Digital Synthesizer tuner with 10 memory presets. 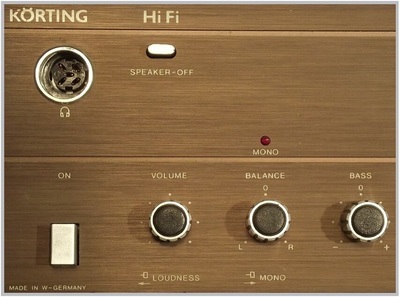 For multiroom listening you can connect two pair of speakers to the unit. 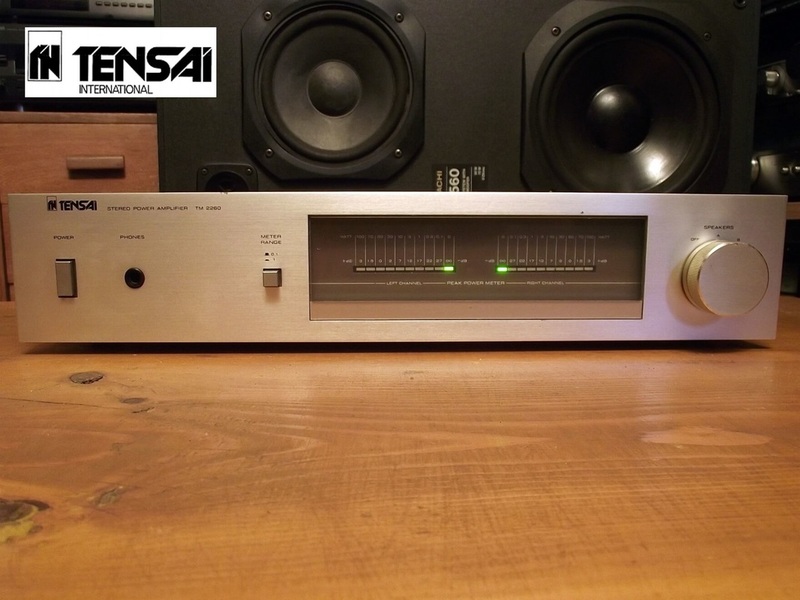 "Tensai International was a Swiss audio and electronics distributor. 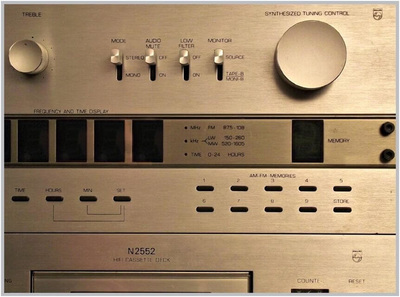 It was AKAI's exclusive distributor for the Swiss and Western Europe." 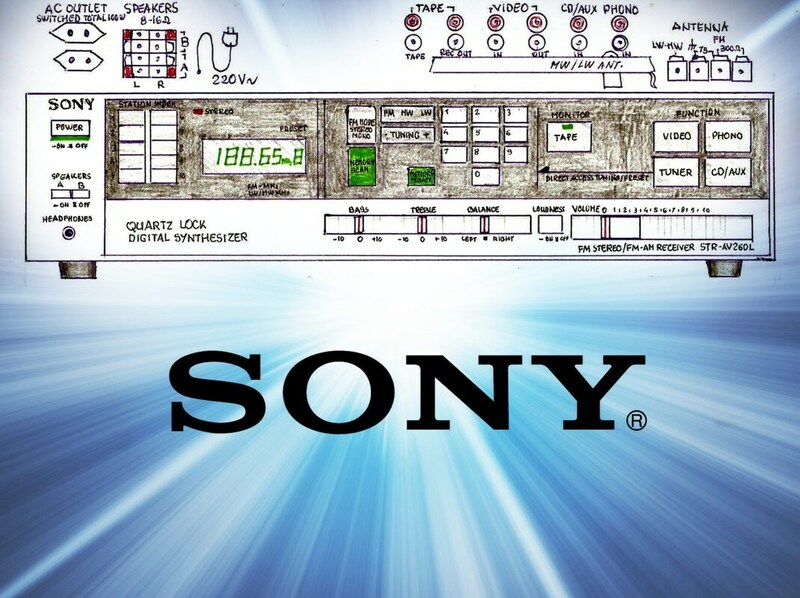 Based on these facts some people presume that this amplifier was made by AKAI. 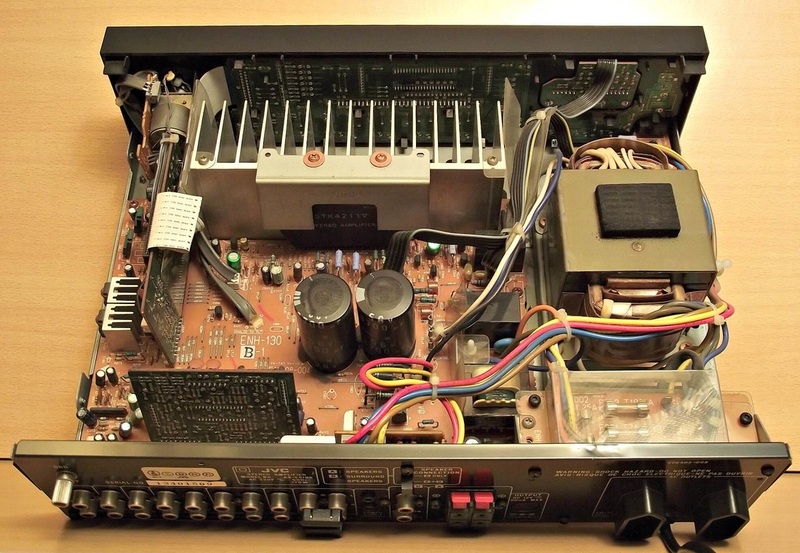 The amplifier was indeed Made in Japan, but the only thing that looks to me like AKAI are the LED's that are white (when they are off). 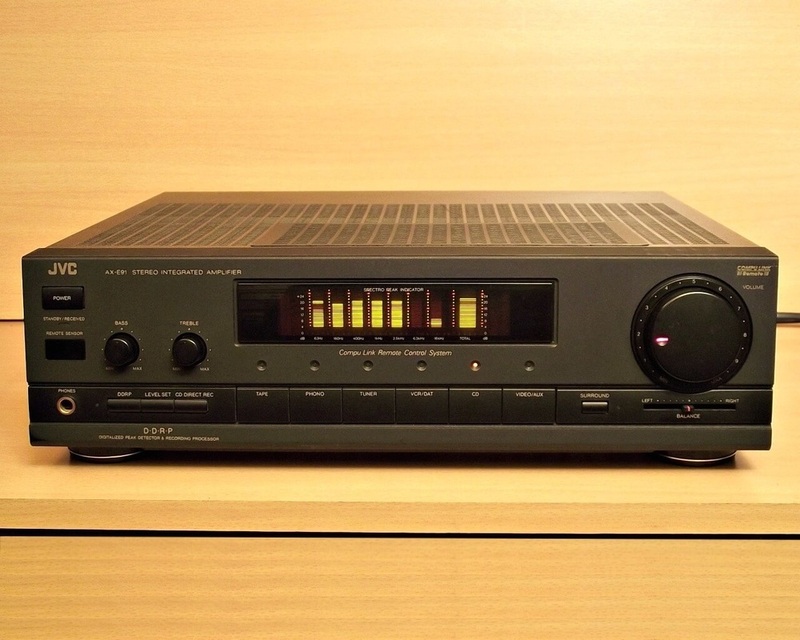 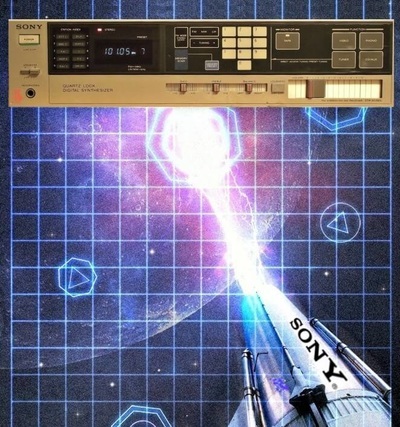 Just like on the AKAI GX-F25 cassette recorder, for example. 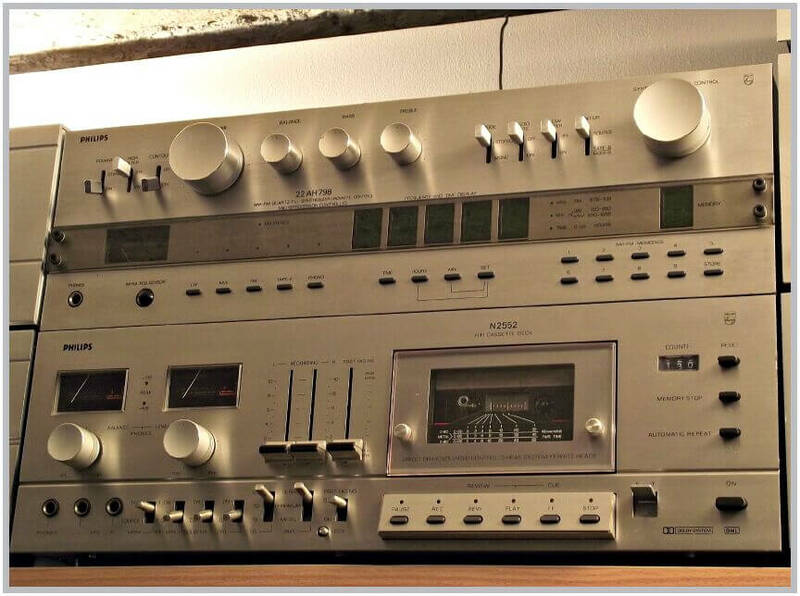 The previous (identical model) with needle power meters, the TM-2250 for example, was sold as PHILIPS in Australia, so I highly doubt that this is an AKAI. This is a high quality dual mono power amplifier. 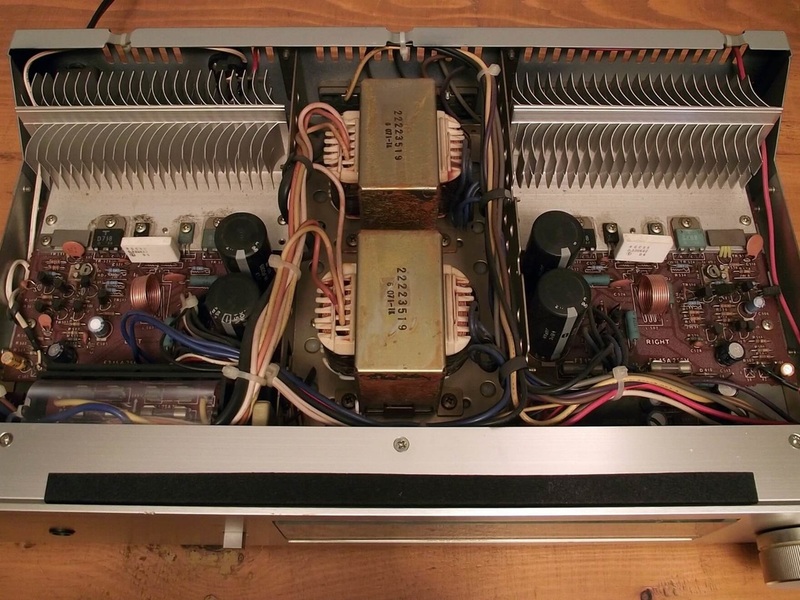 It has two transformers mounted in the middle for the dual mono configuration. 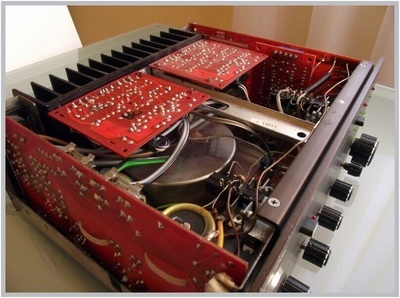 The two circuit boards have simmetrical layout at the left and right of the transformers. 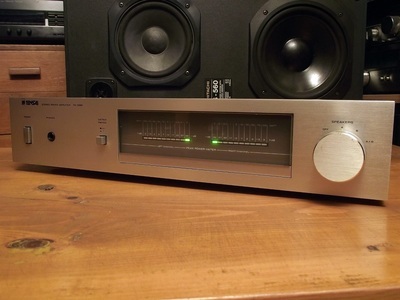 The power output is 50 watts per channel and it has a very good sound too.